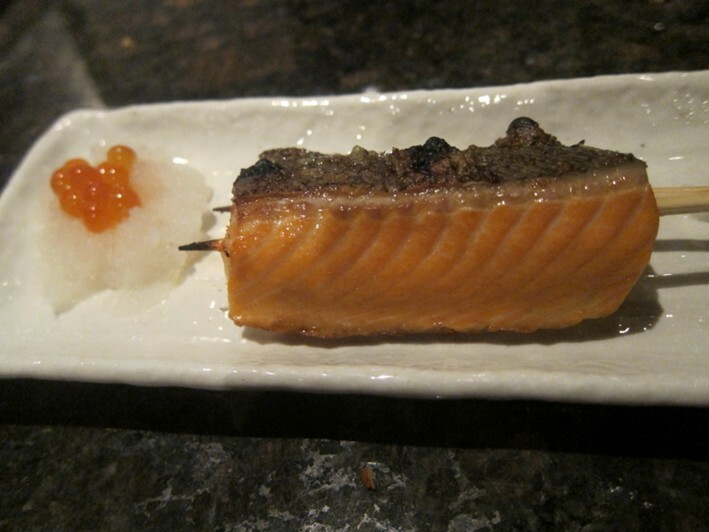 In an obscure part of the Las Vegas Chinatown district you can find Aburiya Raku, a Japanese restaurant specializing in grilled dishes. 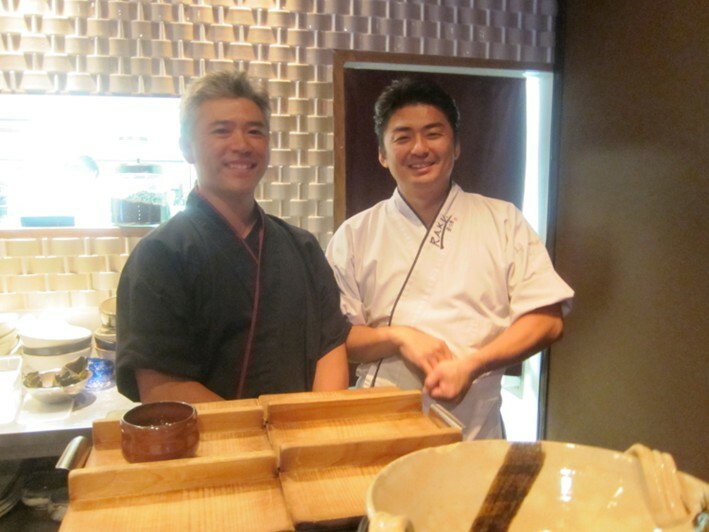 Chef/patron Matsuo Endo opened the restaurant in 2008, after working at Megu in New York and prior to that for 15 years in assorted Tokyo restaurants. The restaurant opens until the early hours of the morning, and reservations are essential, as there are just half a dozen tables and a few counter seats. The restaurant is quite dark, with brown carpet and walls. 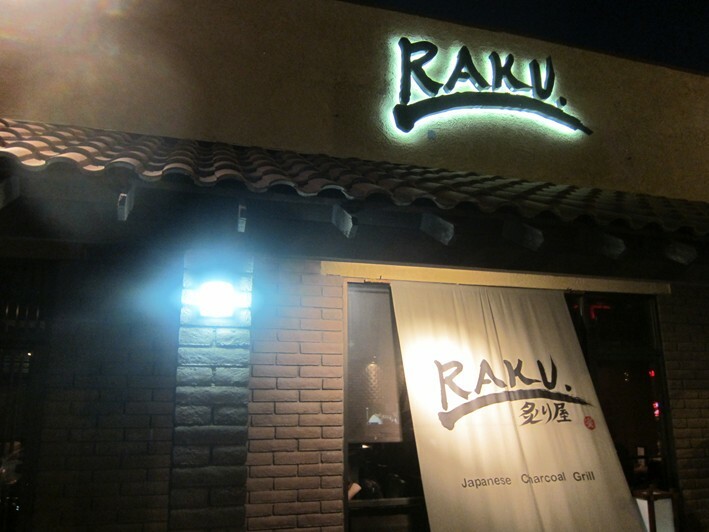 During my visit I was the only westerner, though I gather that Raku is a favourite with off-duty chefs from other Las Vegas restaurants. The dishes come as they are ready rather than appearing in a particular sequence (though my rice balls were served last, rice being traditionally served at the end of a banquet in Japan). The menu is a list of snack sized items. There were a few wines, such as Kim Crawford Sauvignon Blanc (no vintage listed) for $33 compared to a retail price of about $16, Torres Celeste Blue at $48 for a wine that you can pick up for about $21 in the shops, and Grgich Hills Cabernet of unknown vintage at $98 for a wine that will set you back perhaps $50 - $65 in the shops. I drank beer (Asahi and Sapporo were available). 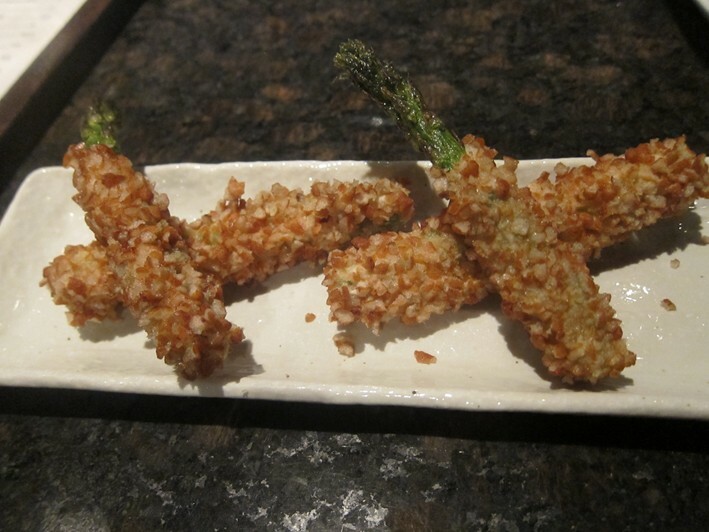 Crispy asparagus ($5) was deep-fried, the asparagus quite thick but having good taste, the batter light and clean (comfortably 14/20). 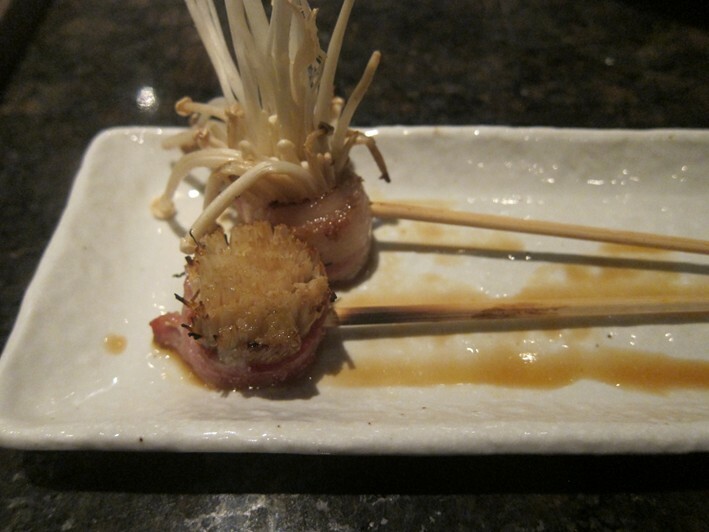 Enoki mushroom with bacon ($2.80) was very good, the mushrooms carefully cooked and benefiting from the smoky taste of the bacon (14/20). Salmon ($6) with ikura oroshi (grated daikon) was grilled, the fish well timed and with nice crispy skin, though I have eaten salmon with better flavour (14/20). The best dish was a single scallop ($7) in a rich soy sauce, the scallop sweet and lightly cooked, the broth adding a deep soy flavour to complement the scallop (16/20). 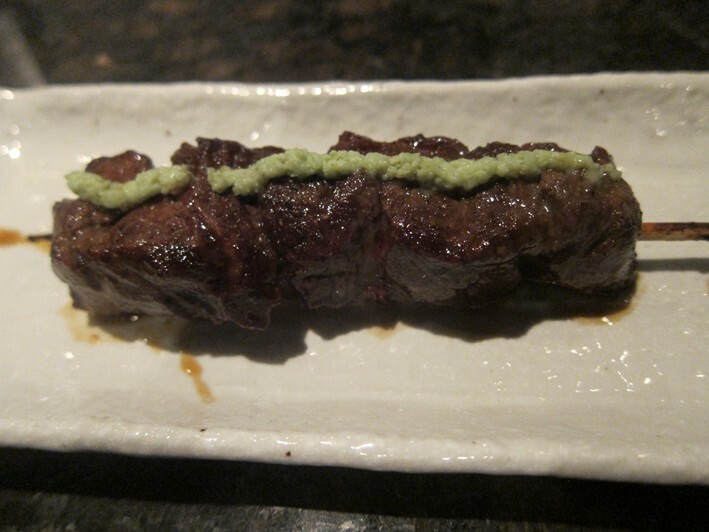 "Kobe beef" ($10.50) was of course not really Kobe beef, this being Las Vegas, but wagyu beef reared in Oregon, grilled and laced with wasabi. The wasabi was in good balance, but the beef itself was merely pleasant, lacking the deep marbling of true Japanese high end cattle (14/20). 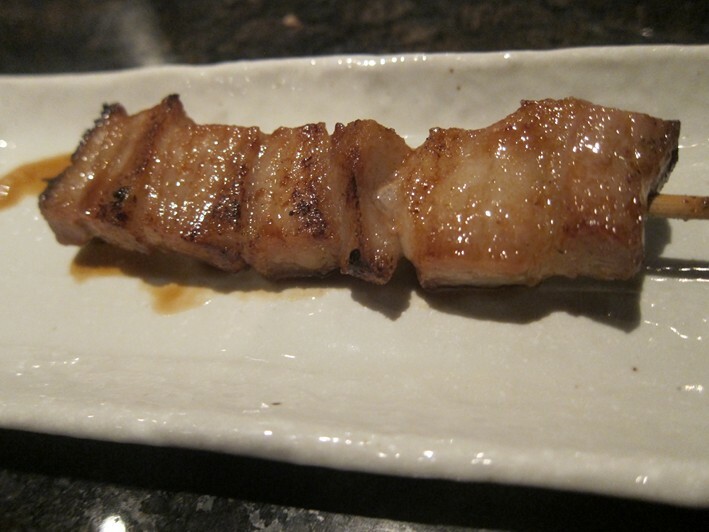 Pork cheek ($3.50) was very good, the texture just a little gelatinous but the fat providing lots of flavour (15/20). 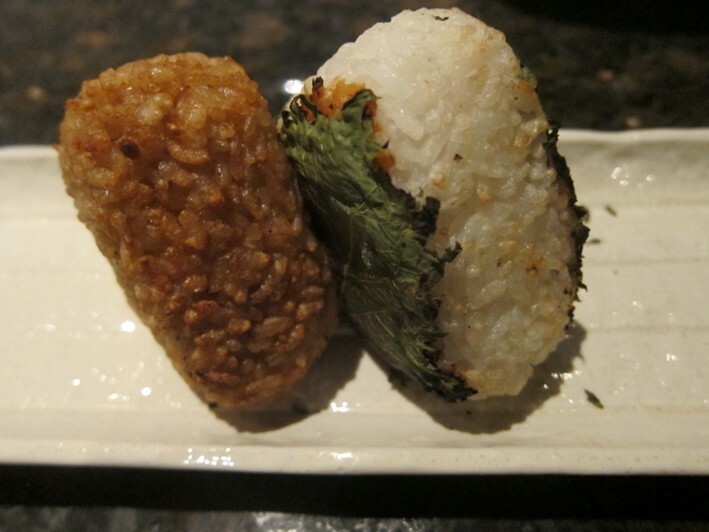 Rice balls ($5) were well made, fried and a comforting way to end the meal (13/20). Service was pleasant though somewhat stressed; the place was completely full on the Monday night that I visited, and the few waiting staff were stretched. The bill came to $77 (£47), which seemed very reasonable given the quality of the cooking, which overall was a strong 14/20, with some elements higher than this. This was the best value food I have eaten in Las Vegas. 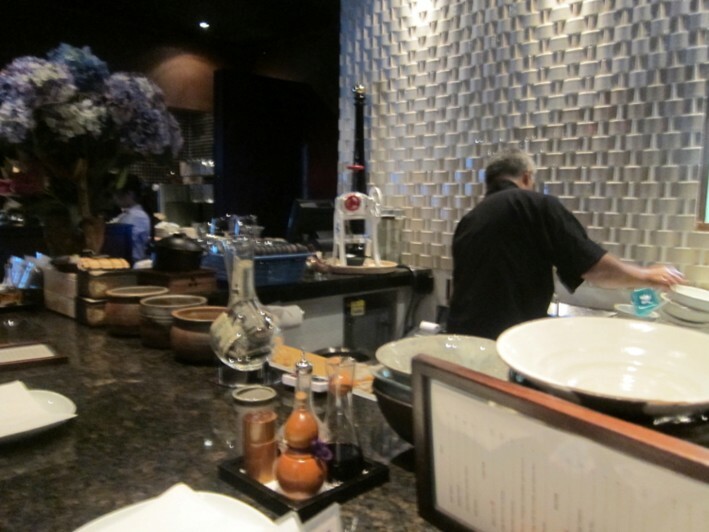 A lovely restaurant and my favourite eatery in Vegas. I'm not familiar with Japanese food, but the waiter helped us through the menu and ensured we knew what we were getting, how it would be served and how to eat it. It's a destination restaurant as there is nothing much around it - a 10 minute taxi ride from the strip and you're there. Make sure you book as this place is popular with locals and those tourist in the know. The decor was simple/plain and authentic - we had a private area which was really nice and relaxing. The flying fish was amazing and I wish we'd eaten more sashimi - something to try more of in the future. Don't rule out the desserts, the homemade cheesecake was delicious and very light and fresh. There is a large selection of Sake and the waiter was very happy to help us decide on one to try.